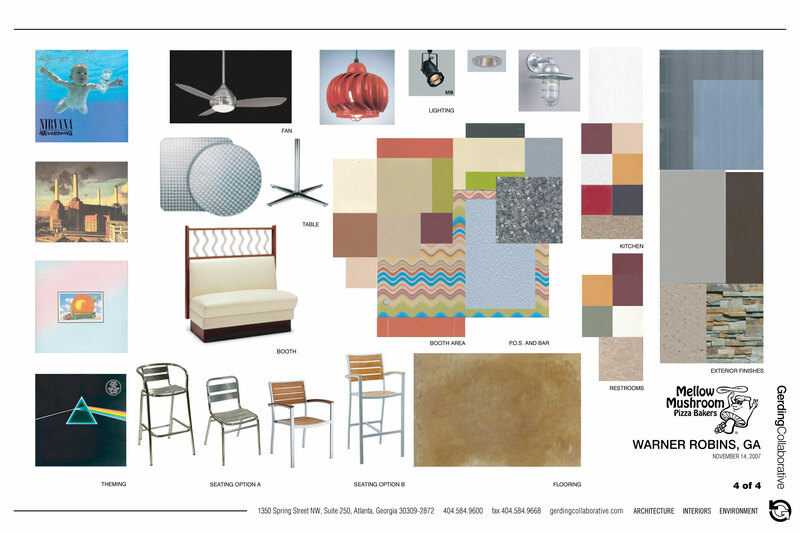 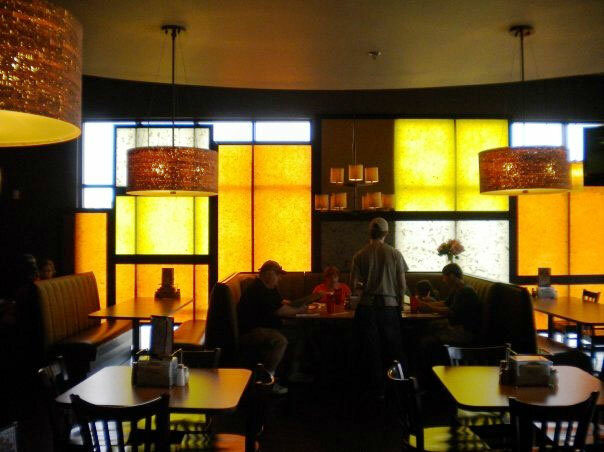 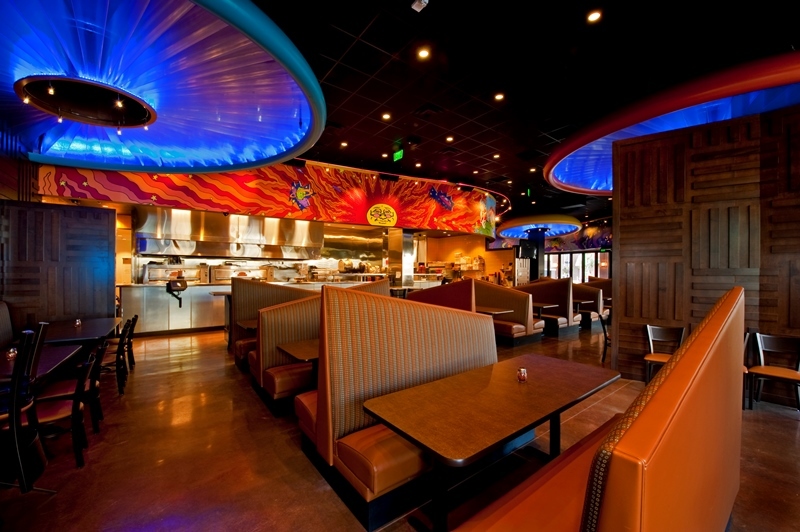 Gerding Collaborative has designed a total of nine Mellow Mushroom restaurants, each for individual franchise owners. 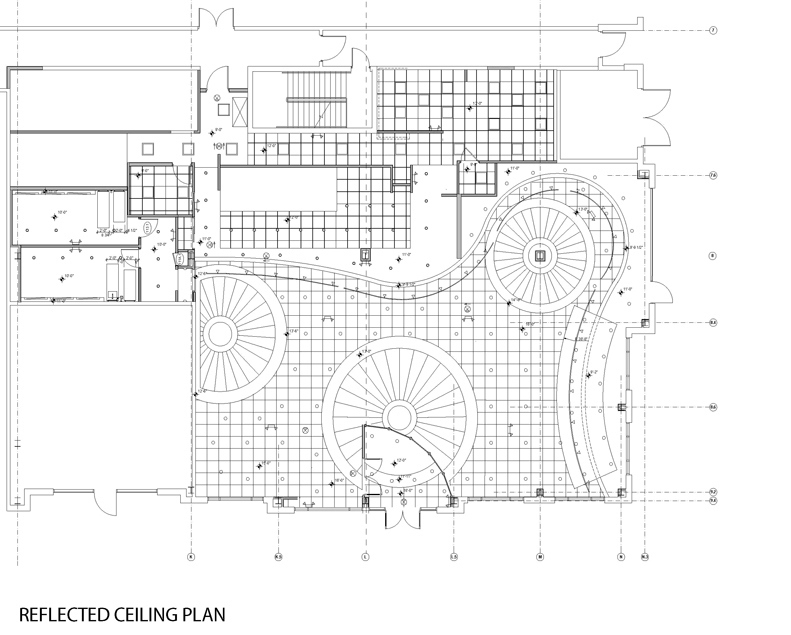 Our services have included physical assessment surveys, due diligence reports, design, construction documents and construction contract administration. 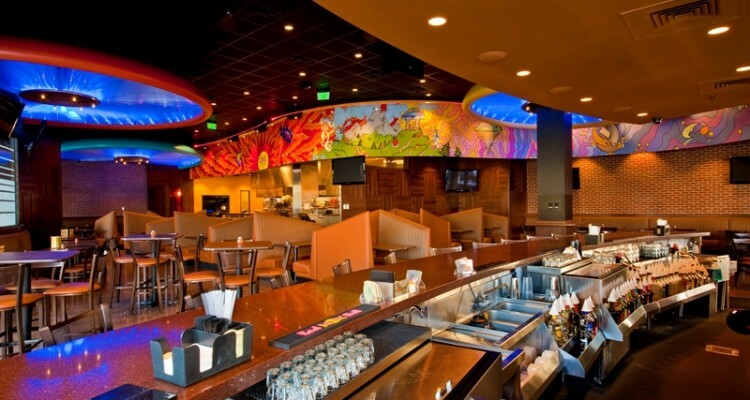 Each project is uniquely designed to blend the signature features and creativity of the Mellow Mushroom brand, the vision of each owner, and the unique characteristics of each project location. 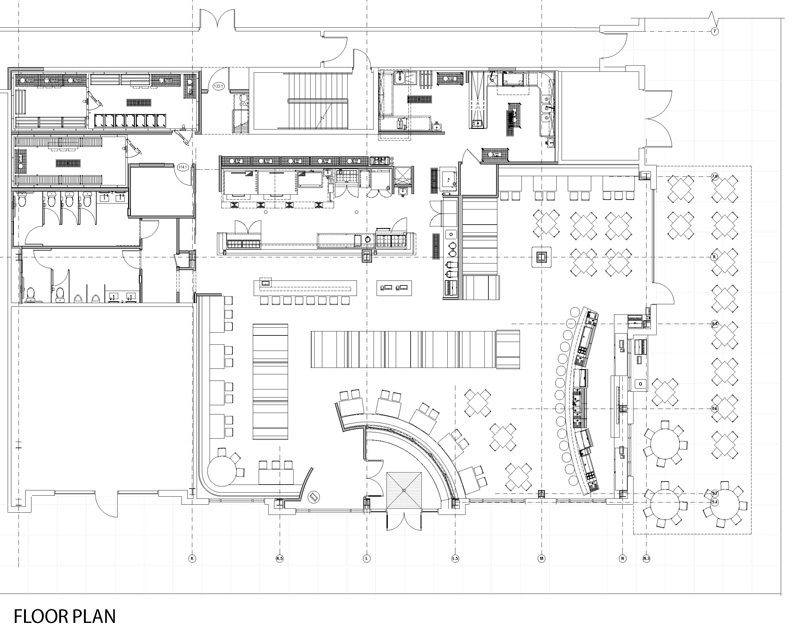 Projects include both freestanding buildings and tenant improvements within existing shell spaces. 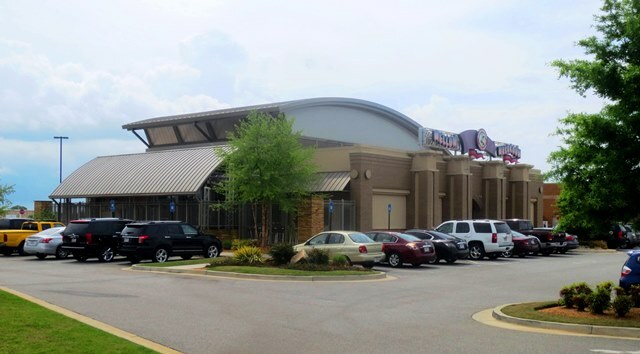 The Warner Robins Mellow Mushroom is a free-standing building designed to evoke the imagery of a live music concert in a sports arena. 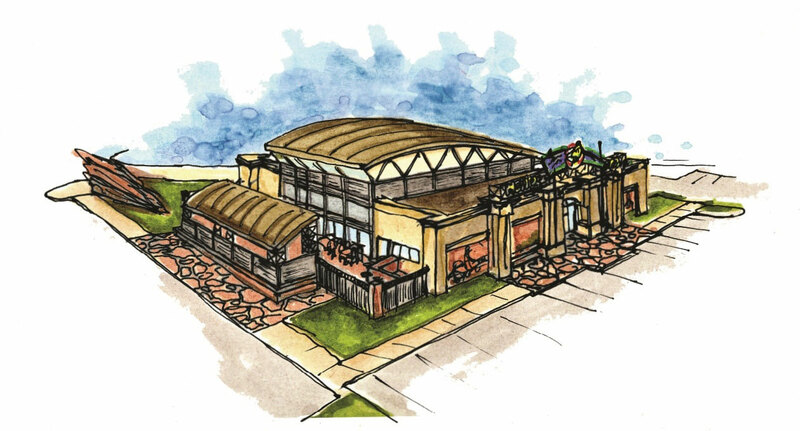 The owner’s love of music and the Red Rock Amphitheater concert venue in Colorado inspired the colorations of the site features, landscaping and building skin. 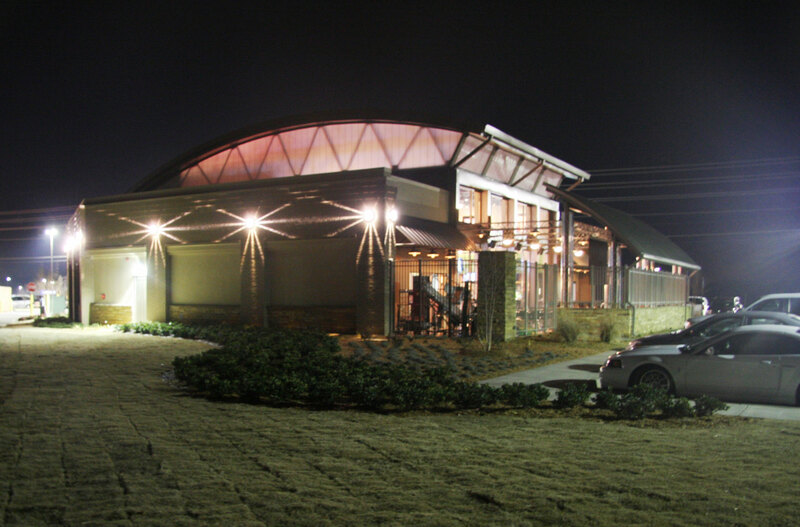 The building is organized as a U-shaped solid mass surrounding an open volume dining arena. 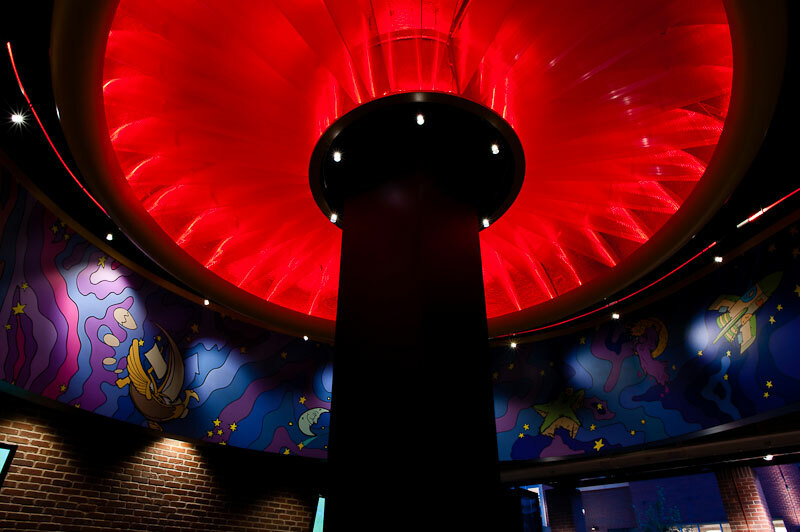 The Statesboro Mellow Mushroom is best described as what happens when an English pub meets a contemporary boutique. 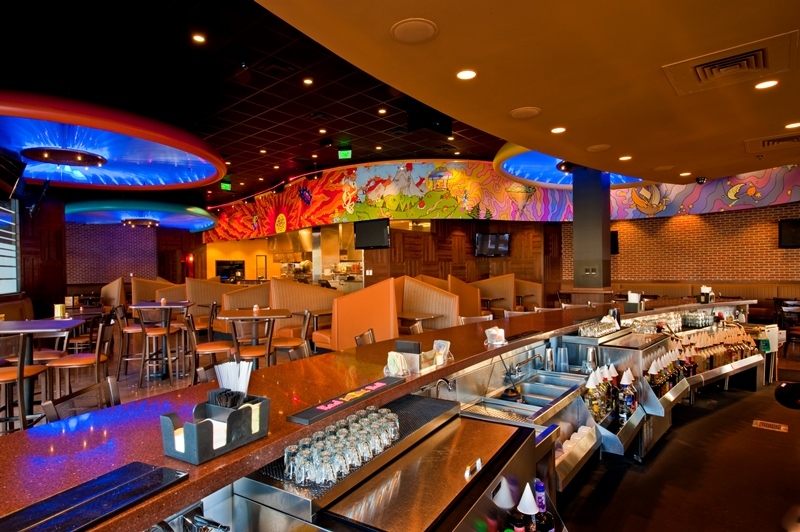 Conceived as a vibrantly colored palette to play against natural materials and earth tones, the design organizes the bar and dining areas into two distinct areas and separate profit centers. 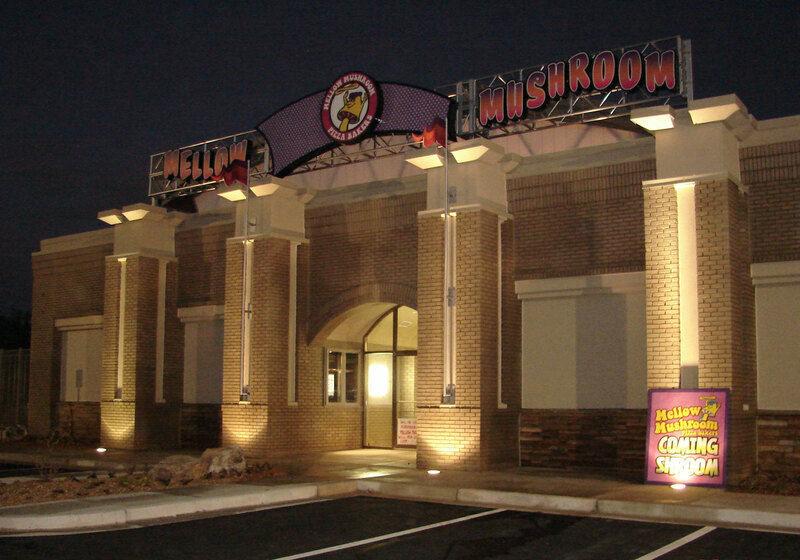 The Centennial Mellow Mushroom was the first Mellow Mushroom restaurant in the western United States. 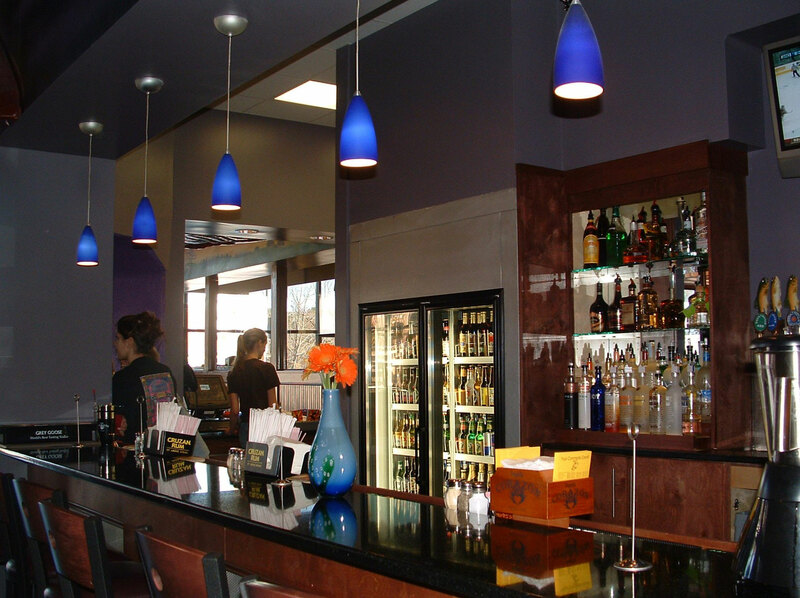 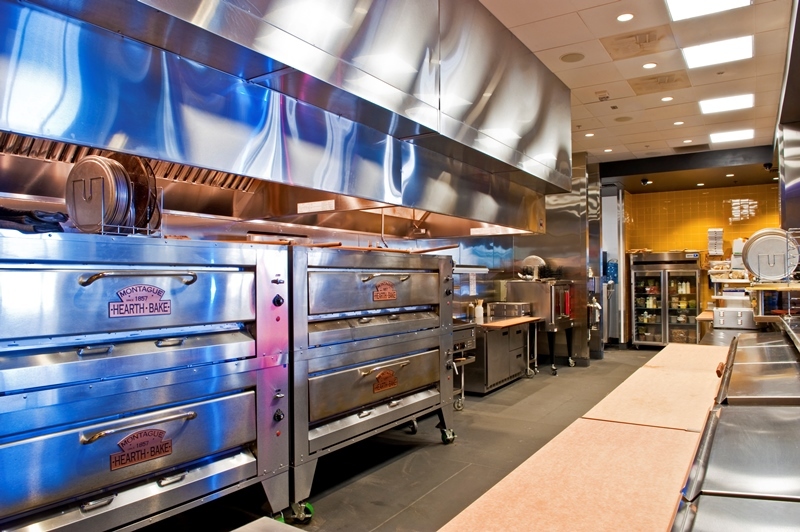 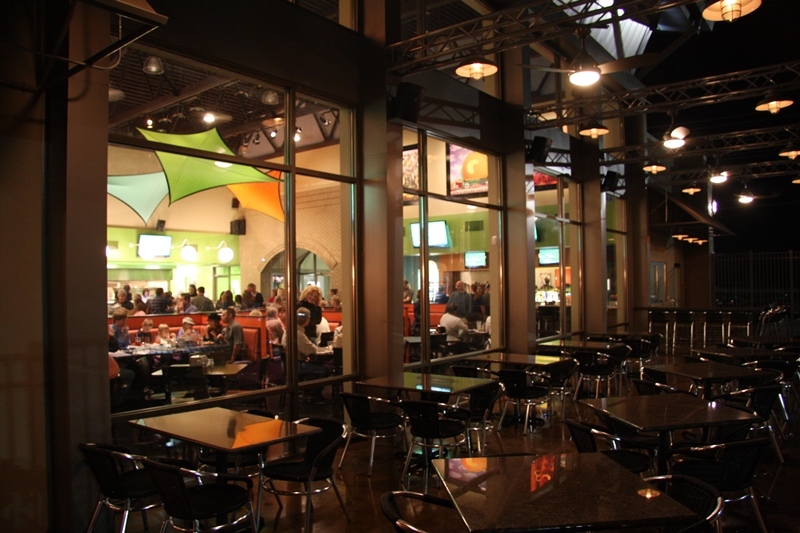 As a flagship store, it was important to develop a restaurant and atmosphere that hit multiple target client groups while maintaining the essence of what makes the Mellow Mushroom brand unique.